Canine Companions for Independence puppies have a special purpose in life, growing up to provide independence to a person with a disability. The Canine Companions prison puppy raising program not only benefits the puppies, but the inmate program participants as well. 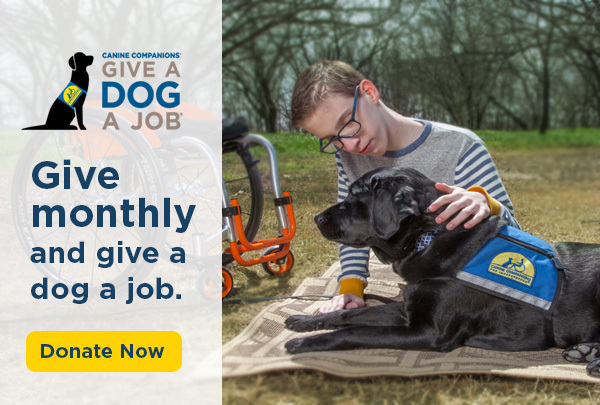 The Canine Companions prison puppy raising program has made great strides since its inception 13 years ago at the Coffee Creek Correctional Center in Wilsonville, Oregon. It has expanded to include 13 facilities throughout the United States, including Arkansas, California, Colorado, Florida, Louisiana, Montana, Oregon, Texas and Washington. Sharon, an inmate who served seven and a half years for robbery, was one of the select few chosen for the prison puppy raising program. After an application, interview and rigorous selection process, she received a puppy who accompanied her during her daily work tasks as well as at dinner and recreation times. Prior to Sharon’s release from prison, she helped create nurturing and enriching lives for four Canine Companions puppies, including Roca, Caitlyn, Will and Anza. She fed sheltered, toileted and provided love and attention to the puppies. 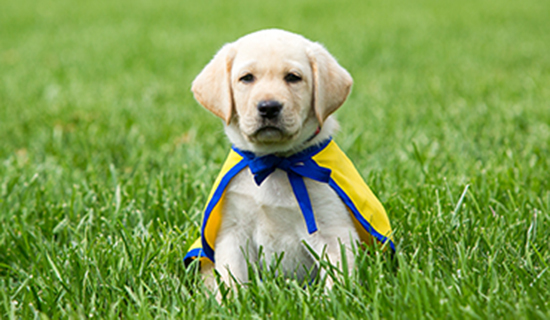 Read an article about the Canine Companions prison puppy raising program at the Coffee Creek Correctional Facility. How much does it cost to raise a puppy? The facility assumes the cost of keeping the puppies assigned to their students. This would include transportation of the puppies to and from the Canine Companions regional training center, vet care, food, grooming equipment, crates, leashes, toys and training. How do inmates/students learn how to train and care for the puppy? A Puppy Class Trainer is hired or designated from the current staff at the facility. The inmates are responsible for the same training as any volunteer puppy raiser. Who selects the inmates to participate in the program? Potential Puppy Raiser inmates are to be selected by the facility. The Canine Companions puppy program manager conducts a placement and training seminar with those selected inmates to be sure they are appropriate with puppies and committed to the program. Are the puppies safe within a prison environment? Although no environment, inside or outside of a prison setting is 100% risk free, inmates go through a rigorous selection process prior to admission into the puppy raising program. If they are selected as puppy raisers, their performance as puppy raisers is monitored carefully and continuously. Any infraction will result in an immediate dismissal from the program. How is the life of a prison-raised puppy different from that of a puppy raised in the general population? The main difference is prison puppies are on a set repetitive schedule because of the confined environment in which they are being raised. This schedule is that of the inmates, these puppies accompany their raisers throughout the day: mealtimes, daily work assignments, recreational periods, etc. Additionally, specific times have been incorporated in the inmates’ schedule for feeding, toileting, training, and exercising the puppies. In the evening the puppies are crated in the inmates’ cells. Periodically non-incarcerated volunteers take the puppies outside of the prison environs to expose them to a variety of public settings (roads, stores, children, other animals, sounds, and noises) they would not normally experience in the prison setting. This is an important element in the proper socialization of a Canine Companions puppy. Inmates participate in weekly training classes. The inmates are also given “training’ time every day to practice commands with the puppies. Structured classes are held at the prison anywhere from once a day to once a week. Each prison program agrees to adhere to the Canine Companions Puppy Raising guidelines, and the inmates follow the Puppy Raiser manual extensively. How do the prison programs get their funding? Publicly-run prisons do not receive any state funding for their programs and thus rely on the generosity of private donations. Contact Canine Companions for more information on the prison puppy raising program.